1000 Hour Instant Brows Mascara is a natural looking buildable medium brown colour that adds depth to eyebrows in a light gel base that tames and sets the perfect shape. Beautifully set eyebrows frame the face and define the eyes. But not everyone is gifted with beautifully set brows. 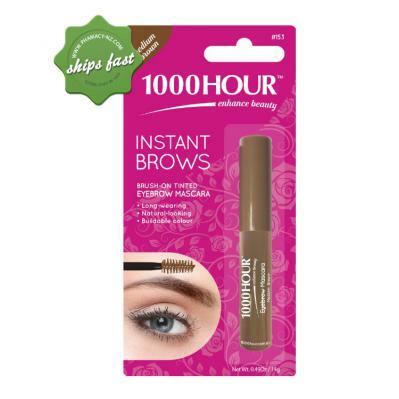 1000 Hour Instant Brows Mascara will set anyone's brows to picture perfection. This natural looking buildable colour will help boost the depth of your brows whilst its light gel base tames and sets your brows in the perfect shape.